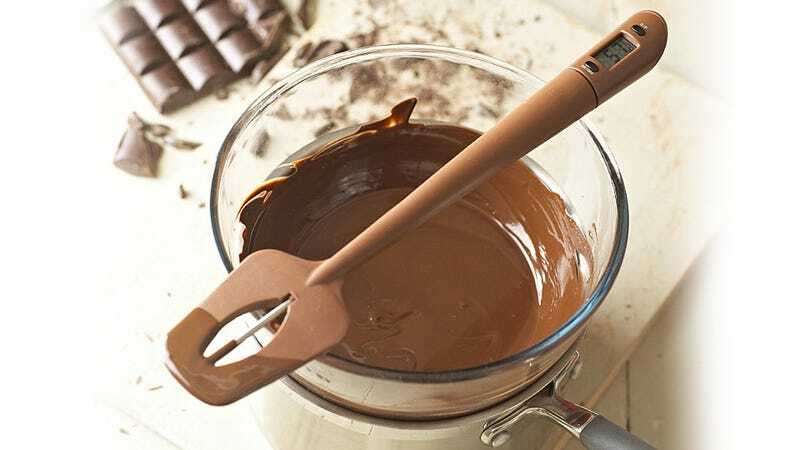 Designed for recipes that are finicky about the temperature of the ingredients—like fudge, candies, and jams—this silicone spatula has an internal temperature probe that helps prevent whatever you're stirring from overheating and burning. Not surprisingly the Thermospatula is heat-resistant up to 428 degrees fahrenheit and is capable of displaying temperatures in celsius or fahrenheit from -4 to 464 degrees. And so you're not dropping $24 on a one-trick pony, the spatula's temperature probe is removable and can be used by itself as a meat thermometer ensuring your entire meal turns out perfect-not just dessert.